There is no prohibition on an application seeking a writ under Article 226 or Article 227 of the Constitution being pursued by a litigant through the holder of a power of attorney, the Bench said. Full Bench of Allahabad High Court, in Syed Wasif Husain Rizvi vs. Hasan Raza Khan has held that Writ Petition under Article 226 of the Constitution can be filed by a power of attorney holder. The Court also said that certain safeguards shall be observed where a writ petition is filed through the holder of a power of attorney. The Full Bench, while answering the reference to it by a Single Bench in affirmative, said that it could not agree with the rulings of Division Bench of the High Court in Dr Prabhu Nath Prasad Gupta Vs State of U P, 2003 (52) ALR 520, Rustam Khusro Shapoor Ji Gandhi Vs State of U P, 2010 (80) ALR 25 and Gurmeet Kaur Kwatra Vs Vice Chairman, Varanasi Development Authority, Varanasi. The Court said that there is no prohibition on an application seeking a writ under Article 226 or Article 227 of the Constitution being pursued by a litigant through the holder of a power of attorney. The Court also observed that when a writ petition under Article 226 of the Constitution is instituted through a power of attorney holder, the holder of the power of attorney does espouse a right or claim personal to him but acts as an agent of the donor of the instrument. 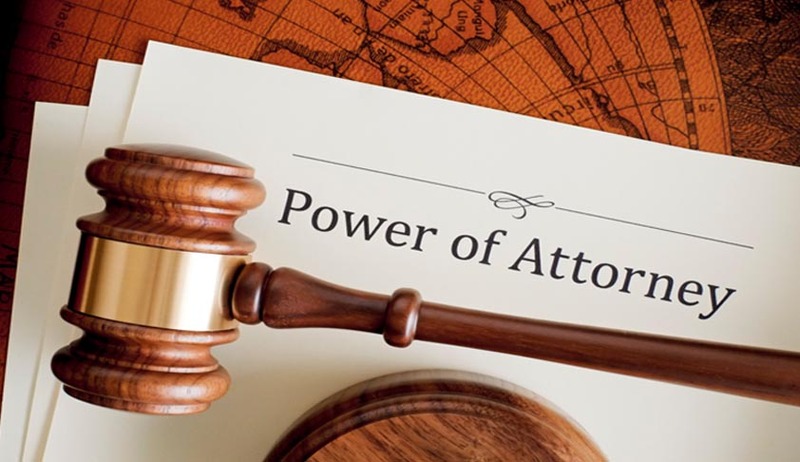 The petition which is instituted, is always instituted in the name of the principal who is the donor of the power of attorney and through whom the donee acts as his agent. In other words, the petition which is instituted under Article 226 of the Constitution is not by the power of attorney holder independently for himself but as an agent acting for and on behalf of the principal in whose name the writ proceedings are instituted before the Court, the Bench said. The donee must be confined to those acts which he is authorised by the power of attorney to discharge.